Here come the pictures of our visit to stunning Eguisheim during the Ascension weekend. It is pretty close to the not less magnificent Colmar that we visited last Xmas. The weather conditions were absolutely perfect and my iPhone did a fantastic job! 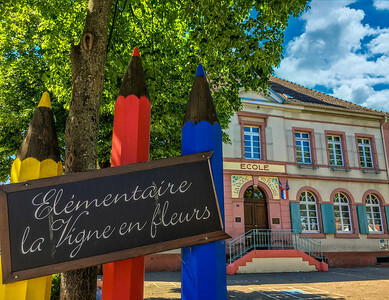 Even the School of Eguisheim is picturesque! 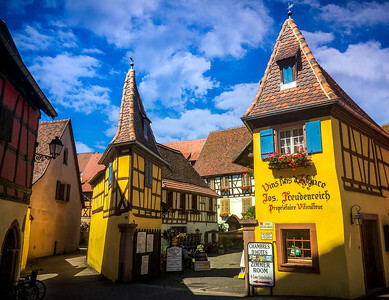 Picturesque colorful Eguisheim. Shot with my iPhone. 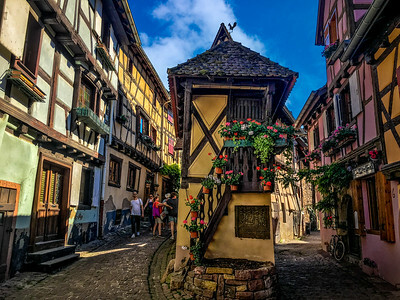 Iconic picture of stunning Eguisheim shot with my iPhone. 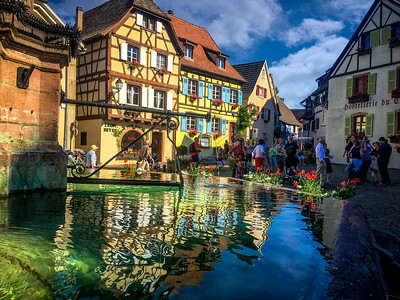 Nice reflection at picturesque Eguisheim. Shot with my iPhone.